Enjoy your garden all year round and make the most of your seasonal celebrations outdoors. BBQ’S are not just for summer, enjoy a sophisticated glass of mulled wine around your Kadai at your next social gathering. A Kadai Fire Bowl makes an ideal centre piece for a Halloween party too! We hope to inspire you with the latest trends and styles on offer and bring to you our top pick from around the world. We are proud to be stockists of some truly original and bespoke brands. Kadai and Think Outside have both made their make at the prestigious Chelsea Flower Show and are rapidly becoming household names in their fields. The Kadai Fire bowl was inspired by the concept of social cooking typically seen in India. The company ethos on recycling and fair trade are truly inspirational too. The bowls are made from recycled oils drums and hand crafted by small family run workshops in Rajasthan. Resulting in high quality ethical alternatives to modern made BBQ and patio heaters. The extensive collection of award winning accessories would inspire even the most experienced of chefs to try something new. From curries to paella, mulled wine to marshmallows theres and accessory for every menu. Whether you start with the basics and work your way up or dive in and cook up a storm the Kadai Fire Bowl is the perfect addition to any garden. The beautifully handcrafted ee-ii-ee-ii-oo collection of sculptures by designer Aaron Jackson are quirky, fun and loveable. 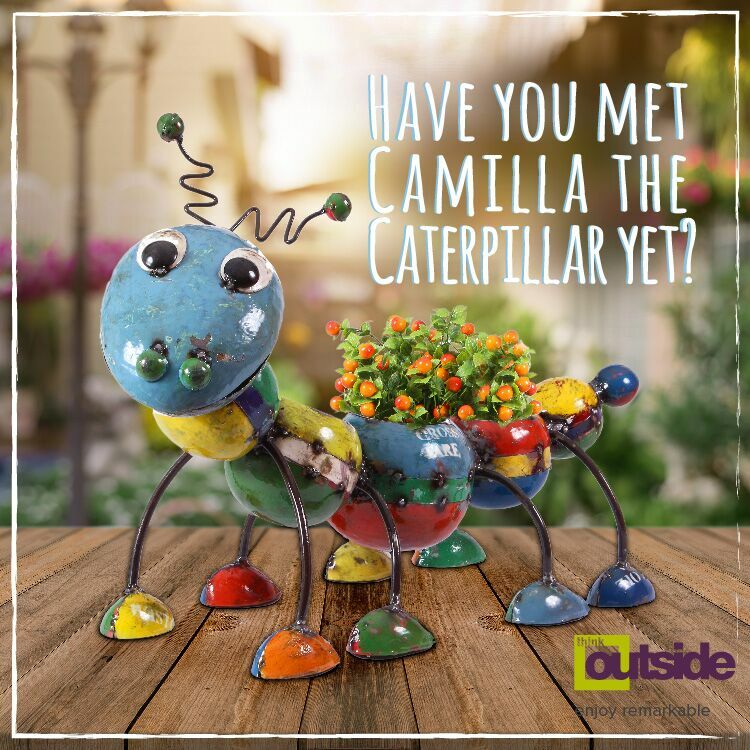 They are guaranteed to bring a smile to your face and an all year round pop of colour to your garden space. They equally work well as sculptural peaces in the home too. If your style is more simple and sophisticated then check out the My Piece of Africa collection with is elegant forms and timeless metallic tones it wouldn’t be out of place in a gallery.